The best of New York City theatre will come to Pepperdine University's Smothers Theatre in Malibu for one unforgettable night of entertainment with On Broadway on Tuesday, January 29, at 8 PM. Featuring all of the best songs from the hottest New York City shows, and sung by Broadway stars themselves with a live band, On Broadway includes music from long running favorites like The Phantom of the Opera, Chicago, and The Book of Mormon, as well as the newest sensations Frozen, Dear Evan Hansen, and even the sold-out smash, Hamilton. 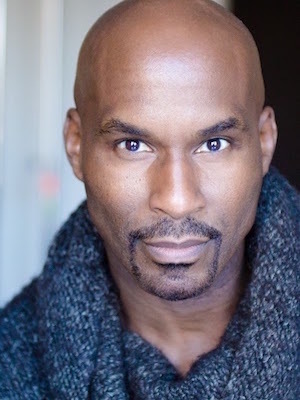 On Broadway will feature an all-star cast of Broadway talent, including Ari Afsar (Hamilton, Original Chicago Cast), Alan H. Green (Charlie and the Chocolate Factory, School of Rock, Sister Act!, Play On, Smokey Joe's Cafe), Jacob Haren (The Book of Mormon), and Jessica Hendy (Cats, Amour, AIDA). Afsar originated and starred in the Chicago production of Hamilton, playing Eliza Schuyler. She played this role for two years and it catapulted her career. Her latest single “First Burn” hit #1 on iTunes. She studied at UCLA, was Miss California 2010, top 10 at Miss America 2011, and a top 36 American Idol Alum. She’s had placements on various shows under ABC, Disney, Amazon, and more. Green just finished performing in School of Rock on Broadway, where he was an original cast member. Other Broadway credits include Charlie and the Chocolate Factory, Sister Act, and Play On! National tours include Swing!, Smokey Joe’s Café, and 25th Annual Putnam County Spelling Bee. He also did the Broadway production of Miss Saigon in Stuttgart, Germany in German. 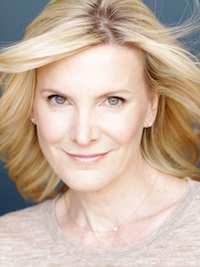 Green’s TV appearances include Murphy Brown, 30 Rock, Unforgettable, Law and Order: SVU, Peter Pan Live, and numerous national commercial campaigns. Hendy was a cast member in the recent Broadway revival of Cats. She is the only person who holds the unique distinction as being a member of the Broadway revival cast as well as a member of the final cast in the first Broadway production of Cats. Her other Broadway credits include Aida (Amneris), and Amour (Isabelle). She made her Radio City Music Hall debut in The New York Spring Spectacular, alongside the world famous Rockettes. Hendy has also toured nationally and in Canada with Cats (Grizabella), and Joseph and the Amazing Technicolor Dreamcoat (Narrator). Haren is currently Elder White in the Broadway company of The Book of Mormon. 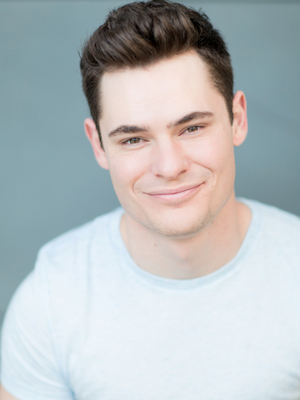 Other credits include The Book of Mormon (National Tour), Rock of Ages (Las Vegas), Up Here (world premiere, La Jolla Playhouse), Dr. Seuss’ How the Grinch Stole Christmas (The Old Globe) and Frank Abagnale Jr. in Catch Me If You Can (Moonlight Stage Productions). His one-man show, Pure Imagination, premiered in 2017, exploring a Disney-obsession, Broadway dreams, and the heartbreaks of reality. This performance is sponsored by Ellen and Doug Weitman. Ticket prices range between $10 and $40. For additional information about this event, and to purchase tickets, visit the Center for the Arts website.